I grew up in a house full of rare and ancient wooden items. My grandfather, Allan Jobson, had his own private museum and wrote a book called "Household and Country Crafts" which is now sadly out of print. The items illustrated in that book were distributed throughout the house and in the garden shed. 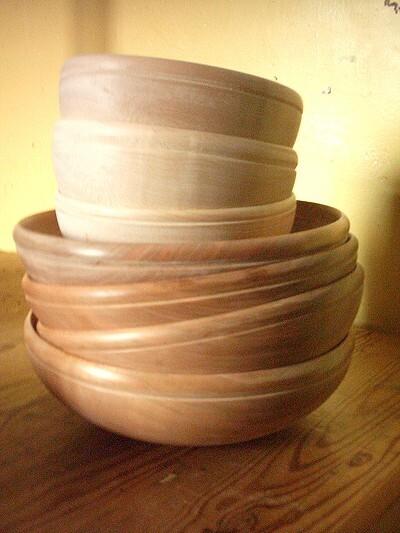 Some of these have become the inspiration for my wooden bowls, plates and spoons. I think that it is a shame that such items have dropped out of kitchen and table use for no really good reason, and so make them in such a way that they can be used if desired. They are particularly suited to use by historical re-enactors. 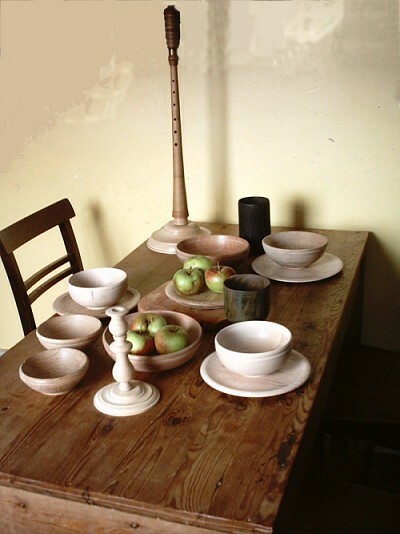 I eat my breakfast out of a wooden bowl every day and when playing music in the summer I often drink out of my own wooden cup. Bowls and trenchers can simply be rinsed under the tap, preferably with tepid or cold water and no detergent. 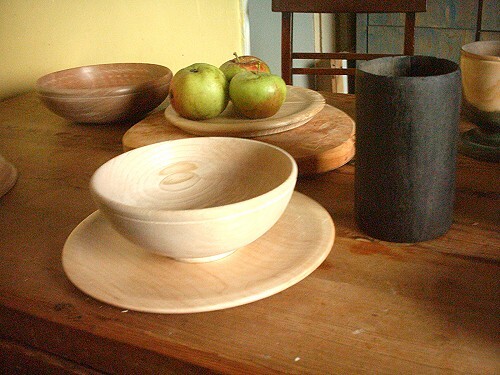 All tableware is made out of native English or European hardwoods.